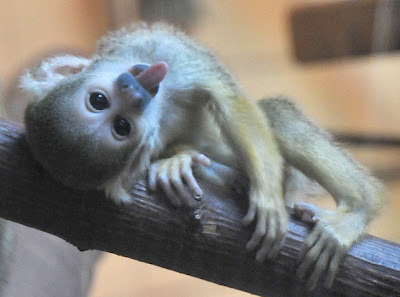 Look closely: The black-capped squirrel monkey is trying to tell you something. No, staring deep into its eyes won't help. Actually, forget looking closely. 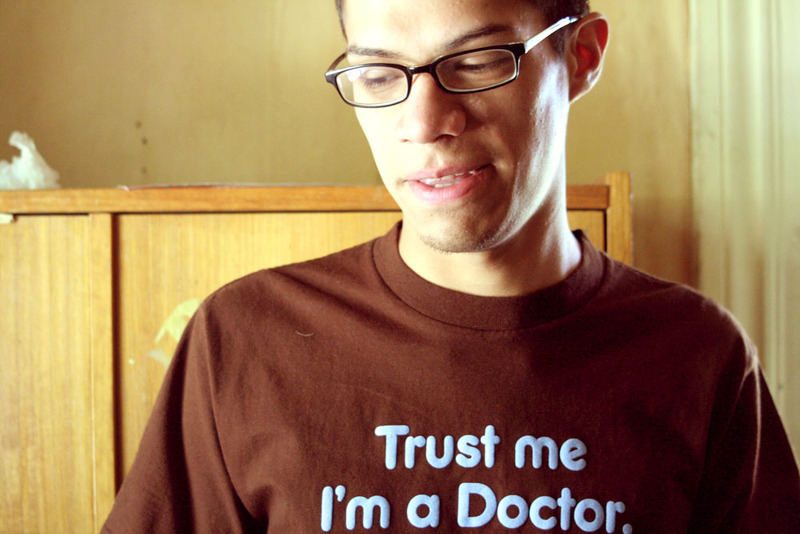 Maybe squint. 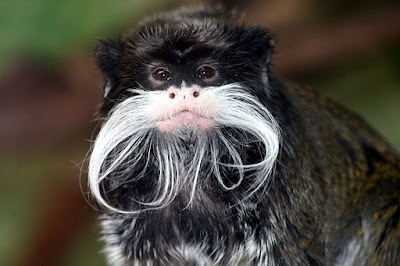 This South American monkey's face is a patchwork of coloration: dark on the crown, cheekbones, and mouth; gray on the sides of the face; white on the ears, chin, and around the eyes. The pattern holds a hint to how the species lives in the wild. The length of its hair is a clue about where it lives--and so's that black cap. Each face was scored for its overall complexity. A monkey with a mostly monochromatic face, like the capuchin above, would be low in complexity. 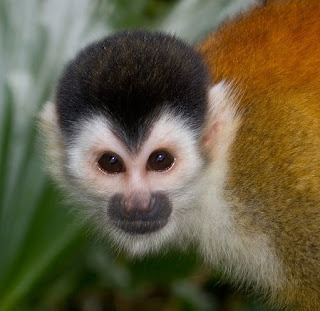 The squirrel monkeys at the top of the page have more distinctive markings, or higher complexity. The researchers wanted to know why evolution has driven some monkeys to develop complicated facial markings, while the faces of others are simple. Is the intricacy of monkeys' markings, or the color or length of their hair, related to how and where they live? The team discovered a clear correlation between monkey species' facial complexity and the kind of social groups they live in. Species with complicated markings are more likely to live in small groups. The researchers think that the monkeys' distinctive faces help them to find each other when there aren't that many of them around. Monkeys with more monochrome faces, on the other hand, are likely to live in larger social groups. The researchers speculate that when members of a species don't have to worry as much about finding each other, evolution selects for a face that can clearly display expressions. Without a lot of markings on their faces, monochromatic monkeys might be able to communicate more easily. As further evidence for this theory, the authors point out that more social species are known to have a greater number of muscles in their faces. With more flexible features, animals can better convey friendliness, aggression, or fear to one another. The researchers also found ties between a monkey's coloration and where it lives. Species in the tropics are more likely to have dark patches on the tops of their heads and around their eyes. The eye masks may help reduce glare, like the face paint worn by a football player. Dark hair on the top of the head or elsewhere on the body might help carry body heat away, or keep the monkeys hidden from predators in the dim rainforest. 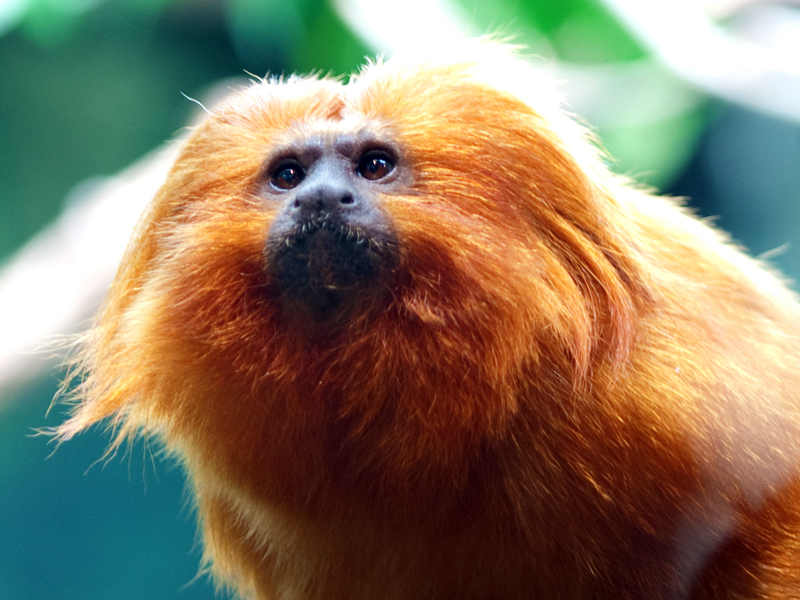 As for hair length, the authors found that species living farther from the tropics tend to have longer hair, like the golden lion tamarin above. Long, thick hair may help animals in temperate climates regulate their body temperature. You may never be able to communicate with a squirrel monkey. No matter how cryptic an animal's expression is, though, you'll find its evolutionary history written all over its face.